My guest contributor this week is Ernest Gracia, an OMJ judge living in Gibraltar, and presently a co-opted member of the IOA committee, as its representative in Gibraltar. Ernest is not a Lizard canary breeder, but he takes a special interest in the breed and is regularly invited to judge at the two Spanish Lizard Canary specialist club shows. In his description of the Lizard canary in 1878 (1), W.H. Blakston wrote that ‘In shape and general confirmation it … belongs to the chubby school, and in no way claiming to have any connection with Shape or Position birds’. The head ‘must also have good width of skull, in order that it may show to greatest advantage … the cap’. “So far, no mention has been made of ‘type’ in the Lizard canary and, indeed, no points are allocated for it in the Scale of Points of the Lizard Canary Association. There is, however, an ‘unwritten’ type that is recognised and adhered to by breeders – a type which is dictated by the need of showing off the show points to their best advantage. It will be appreciated, for instance, that the spangling would not be well displayed on a long, slim-bodied, narrow-backed bird. Neither would the cap look at its best on a small head nor one which has a flat or narrow skull. Similarly a pinched waist or narrow chest would be quite unsuitable for carrying the rowings. 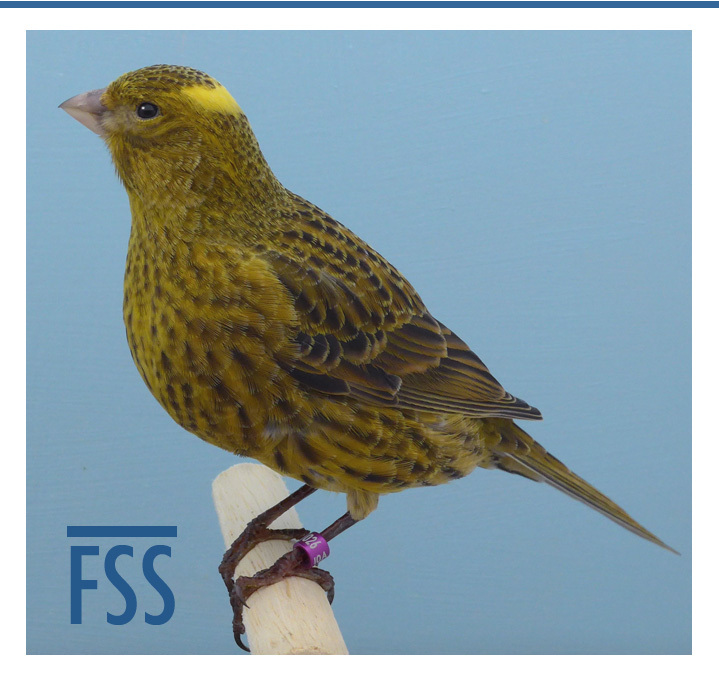 Lastly, as regards size, the meeting of the COM-OMJ, section E (posture canaries) held in June 2014, COM-UK (at the request of the Lizard Canary Association), recalled that this had already been established at 13.5 cm (5), but had not yet been amended in the COM standard. The relevant note is recorded in the minutes. There are no points for ‘type’ in the Scale of Points currently adopted by both the LCA and COM. The LCA’s Description of the Ideal simply says that the Lizard canary should be ‘neither over-stout nor too slim’, while the ‘breast should be round and fairly full without giving any appearance of stoutness’. There is a good reason for this: ‘type’ in canaries goes much further than their size and shape. It also includes features such as the overall proportions of the bird, the shape of the skull, the freedom (or not) of the neck, the rise (or not) of the back, the draw of the tail, the length of the legs, the stance of the bird etc. Judging a Lizard according to these criteria would simply detract from the essential characteristics of the breed: the Lizard canary is a bird of pattern, not of ‘type’. The broken cap gold hen at the head of the article is a very cobby bird, the sort of shape that appeals to many breeders, but her breast undoubtedly gives the ‘appearance of stoutness’. Many judges, especially on the continent, would penalise her for this. The other two gold hens are sisters. It is difficult to compare their size from photographs, but the clear cap is much larger; an imposing bird. The broken cap has the better spangles and rowings, but it was the clear cap that did better at shows and attracted the attention of other breeders. It just goes to show that, rightly or wrongly, “a good big ‘un will always beat a good little ‘un”. Canaries and Cage Birds by W.A. Blakston et al, (1878-81) p.155 & 156. The Lizard Canary Association website, reproduced from an article in Cage & Aviary Birds (undated). The Lizard canary and other rare breeds by Terry Dodwell (1982) p.28. Criteri di giudizio dei canarini di forma e posizione lisci, by FOI (2001) p.18. Les Nouvelles (No 12) by COM (second half of 2012), p.28.